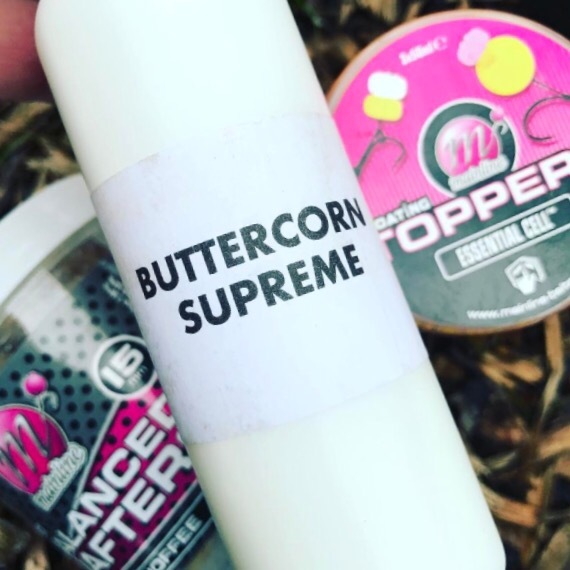 Rather like old skool dj’s, bait companies will have their testers receiving ‘white label’ bait to get the carpy crowd jumping and whet the appetite before its arrival on the shelves. Ali Hamidi posted the picture above on instagram for a soon to be released Goo, quickly followed by Pecky. But what struck me was the name: succulent, mouthwatering and very tempting for the angler, let alone the carp. A catchy name will certainly grab your attention, for example Dynamite Baits Mulberry and Florentine. I saw a tweet from Sharp Tackle advertising these pop-ups – what a combination, got my attention! Some names are pretty straight forward; pineapple, strawberry, GLM, marine halibut, or white chocolate. Others go a step further with a play on words Royal Marine, Nutcracker, and Manilla. Then we get a bit more scientific; The Cell, XLR8, System X, or CompleX-T. Whilst some will just big it up; Monster Tigernut or Monster Squid. And finally there are those that appear to be the answers to your prayers – The Key, The Source, or 24/7. One thing I have noticed is as you read down the menu, because often the tackle shop shelves read like a Saturday night takeaway, the price goes up. Exclusive ingredients and fancy branding comes at a cost; cost for us, the carp angler. Some of those baits have caught more anglers than fish! Still, I do like the sound of Scent from Hell by Baitworks this winter, appeals to the old rocker in me, whether the carp dance to that beat is another matter!